After four years racing on a road bike it’s time for a long overdue upgrade. The bike was always a compromise, perfect for long training miles and trips to the mountains, but out of place in transition; it wasn’t designed with aerodynamics in mind. 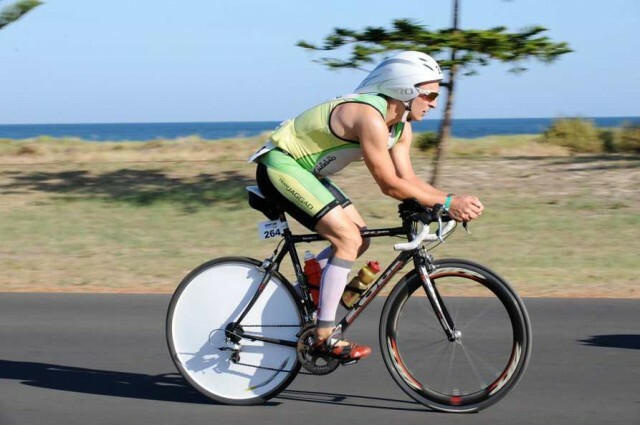 Not that it held me back – a dozen Ironmans, two age group podiums and two trips to Kona. 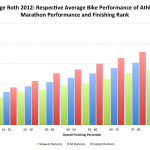 Hard training more than compensated for limited aerodynamics. Before I considered a new frame I wanted to find my optimal position, one that presented less of me to the wind, was comfortable for 5 hours and still allowed me to run a marathon. Rather than buy a bike I liked then adjust it to fit my body, I would find a position I liked then buy a bike to fit that. No more compromises. I want this bike to take me under nine hours in Roth. On Monday afternoon I headed into London for a Retul fit with Richard Melik at his Freespeed studio. 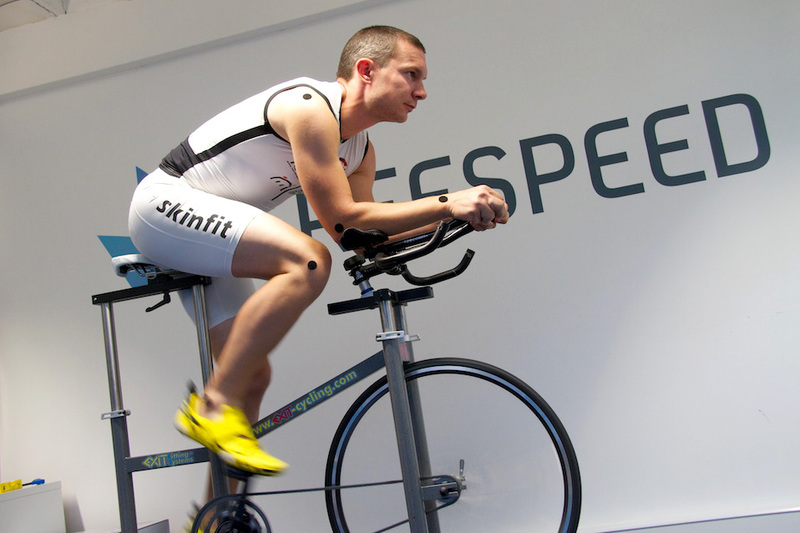 Retul tracks body position as you cycle, precisely measuring every millimetre of movement and giving instant feedback. The fit is down to the skill of the fitter, but Retul gives a greater depth of information to work with. Every relevant angle is recorded, available to review and compare with previous setups. The position can then be refined to find the one that’s most comfortable for the rider. Retul is quick, but a good fitting is involving and thorough. The process began with a review of my history and goals; my experience as an athlete and ambitious targets focussed the fit on performance. I was willing to take time to adapt to a new position, I wanted something fast. A quick check of flexibility probably showed I was lacking, but I think I passed the core strength test fine. Once the preliminaries were done we were ready to sit me on the fit bike and start testing. 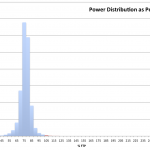 Trials were simple – a minute of pedalling while the system recorded my movements, once it had sufficient data we stopped and reviewed the numbers. 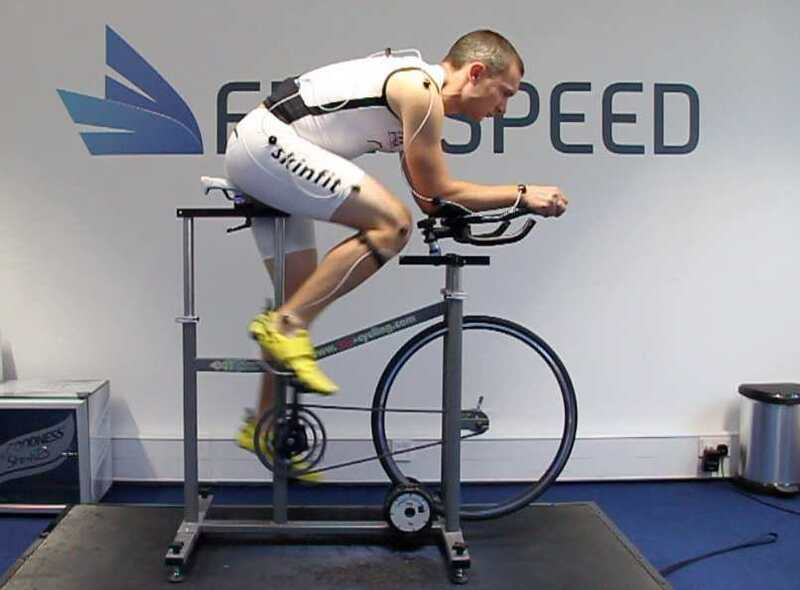 Richard could compare the angle of back, hips, knees, ankles and arms at top and bottom of the pedal stroke and quickly draw conclusions about the position. His aim was to find the range of vales that effectively balanced reducing my frontal area, keeping my hips open and long distance comfort. A couple of hours on the bike and the traditional saddle was becoming uncomfortable. As I was changing everything else I decided to try an ISM Adamo saddle as well. It’s different, very different, but it seems to suit the time trial position well. Another series of trials followed as we refined the position for the new saddle. After a lot of work I was finally in my new race position. Results were good – back was lower, hips open, my upper body well supported on the bars – I was comfortable. Retul measurements sat in the ranges Richard was looking for, the data suggested this was the right position. The pictures above show how much Richard achieved, on the left is my old position and on the right the new tri position. After 3 hours of work we’d found my race position and had measurements for a new bike. Stem, spacers and seat post give adjustability to bike frames, but the aim was to avoid extremes. Taking stack and reach values from the fit Richard identified a number of frames that closely matched my specifications. The next step is sourcing frame and components to build my perfect tri bike. Thanks to Richard’s incredibly thorough work I can be confident that whatever I choose my position will be correct. With the rider contributing the most to drag, I’ve a lot to gain by getting this right. I’ll have no more excuses on the bike.